Scimitars There are 11 products. 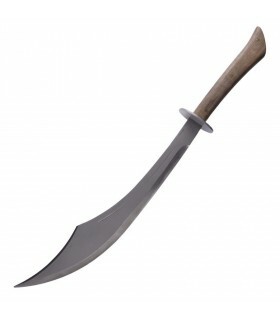 Arab scimitar blade handle rustic recorded. 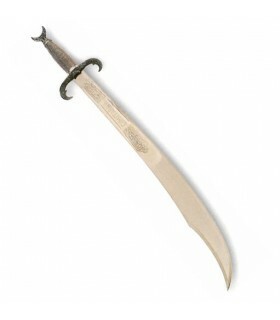 Reproduction of one of the most emblematic swords are brandished in the Iberian peninsula during the Arab invasion. Children: 60 cms.Cadet: 73 cms.Natural: 100 cms. Arab scimitar blade and nickel silver hilt recorded. Reproduction of one of the most emblematic swords are brandished in the Iberian peninsula during the Arab invasion. Children: 60 cms.Cadet: 73 cms.Natural: 100 cms. Scimitar saber Scorpion. Made of carbon steel sheet EN45 engraved with a scorpion. Save made of brass and wood handle. 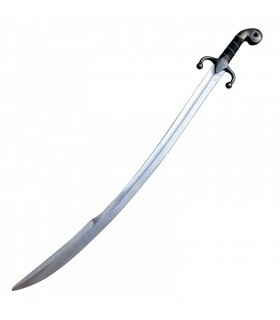 Sinbad functional scimitar with sheet made of high heat treated and tempered 1075 carbon steel up to a hardness of 56-58 HRC. Wooden handle. Includes leather case. 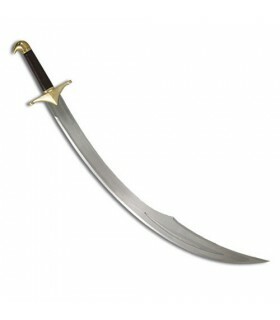 Arab scimitar-size (100 cm.) with clean sheet, unrecorded. 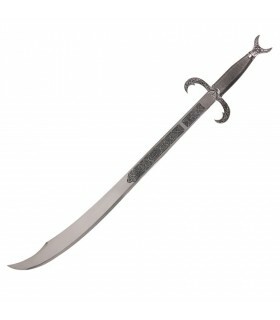 Replica of one of the most emblematic swords are brandished in the Iberian peninsula during the Arab invasion. 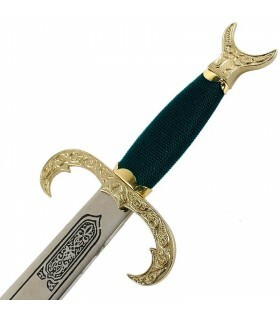 Arab scimitar blade and engraved golden hilt. Reproduction of one of the most emblematic swords are brandished in the Iberian peninsula during the Arab invasion. Children: 60 cms.Cadet: 73 cms.Natural: 100 cms. 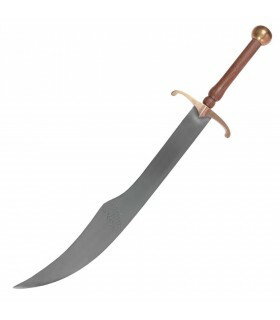 Functional Arab scimitar blade made of carbon steel and leather handle. It produces handmade by renowned dealer in the Czech Republic, Jiri Krondak. 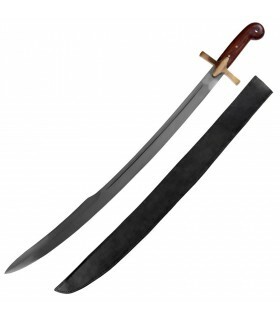 Functional scimitar or "shamshir" with curved blade made of high uncoated 1065 carbon steel. 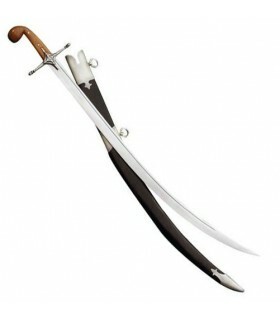 It was a typical Persian sword. Handle of wood and guard in steel. 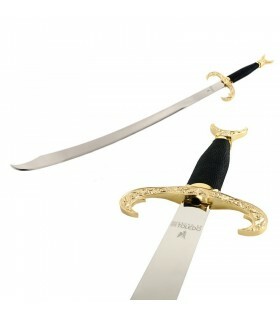 Includes leather covered sheath with metal finishes.